Knowing which diet will work for you is just too much work – too much labor in my opinion. Paleo may work for some people, keto diets for some, anti-lectin or vegan for others – it all depends on your DNA, your constitution, medical condition and your belief system. I know, I’ve tried them all over the years. Celebrate Labor Day by getting tips on how to stay in balance by adding color to your plate and your lifestyle – whether you’re an omnivore or vegetarian. This information and more is in THE CHAKRA ENERGY DIET, free for download on Amazon through Wednesday, September 5. First of all, if you’re blaming yourself for not sticking to your “diet” or for not being your “perfect weight,” stop. It’s not your fault. Rather, the way our bodies are programmed to handle stress is the problem. Stress is a double whammy for weight – it increases our appetites and leads to overeating or poor food choices, then makes our bodies hold on to the fat. The solution is not extreme dieting, which causes more stress, but knowing how to stop the stress reactions. Take the quiz for each chakra in your FREE COPY of THE CHAKRA ENERGY DIET, and learn exactly what you need to do to nourish yourself, banish stress, and help you achieve your optimal weight. Happy New Year! Celebrate starting your best year ever by getting tips on how to stay in balance and keep stress at bay. This information and more is in THE CHAKRA ENERGY DIET, free for download on Amazon this week. Stress affects weight both physiologically and psychologically. Take the quiz for each chakra in your FREE COPY of THE CHAKRA ENERGY DIET, and learn exactly what foods YOU personally need to ADD to nourish yourself, banish stress, and help you achieve your optimal weight. You’ll find out which of your chakras is under stress, and learn the best foods, relaxation techniques, yoga and exercise to balance your chakras and have a vibrant, healthy and beautiful New Year and New You. When I started practicing yoga twenty years ago to gain more flexibility and center myself, I had no idea that the journey would take me into studying the chakras, true wellbeing and holistic healing in general. The word yoga means to yoke or unite, and often uses a physical practice to unite the body, mind and spirit. What began as a form of exercise on the mat has turned into daylong mindfulness about how the things I do and the food I eat can lead to a healthier and happier life. The Chakra Energy Diet: The Right Food, Relaxation, Yoga & Exercise To Look and Feel Your Best! In this book, I share my passion to be mindful of how we choose to nourish ourselves. I have found that the best place for EVERYONE to start is by eating fresh, whole foods, focusing on the colorful array of vegetables and fruit that are available in your area, and reducing the amount of processed foods in your diet. As I’m finishing up my Chakra Cookbook (two years in the writing), I’d like to share a FREE DOWNLOAD of The Chakra Energy Diet as I celebrate my birthday and continued health. It’s FREE today through Wednesday, March 8. Please feel free to share this giveaway with your friends. So, what we need is balance. Looking for answers took me right to the CHAKRAS, the energy centers in our bodies. They offer CLUES on where we’re out of balance and which foods will give us the energy we need. 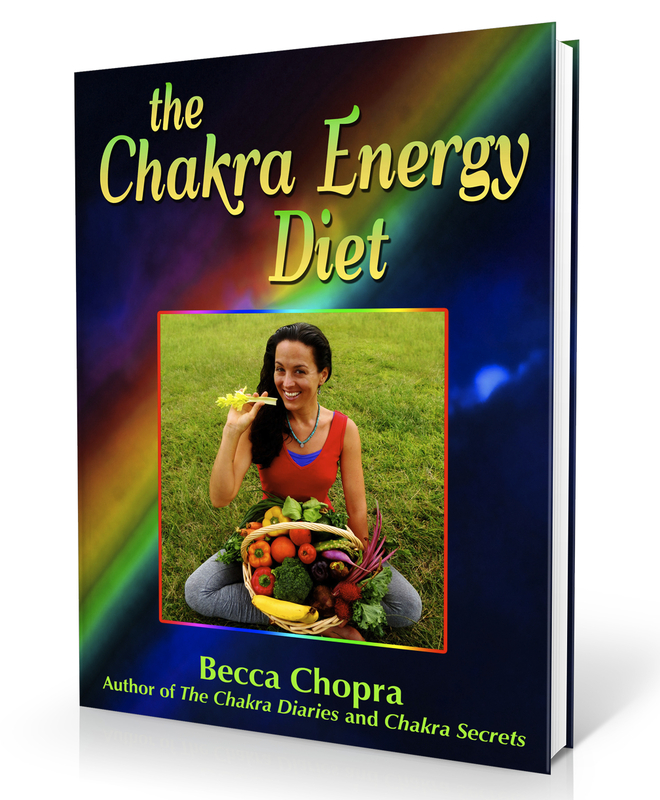 The Chakra Energy Diet is anything but a traditional diet. It’s a way of using the chakras to tell us what we may want to add or change in our lives to love how we look and feel. If you’re stressed out, feeling not so great, unhappy with the way you look, or out-of-control with food cravings, your chakras are not balanced. And shaking things up a bit – especially your food and activity choices – can dramatically help your stress level, your chakra balance, and yes, the way you look and feel. It’s a two-way street… stressors can cause chakra imbalances, which then reflect areas of your life that need healing. Symptoms of imbalance – whether physical or emotional pain – give us useful clues on how we can change our lives for the better. So, why DO we overeat and what can we do about it? First of all, realize it’s not YOUR fault, and let go of any self-criticism. Before we go any further, I want to make this very clear: IF YOU THINK YOU’RE OVERWEIGHT, HAVE NO SELF-CONTROL, NO WILLPOWER, OR SHOULD HAVE A BETTER BODY, IT’S NOT YOUR FAULT! 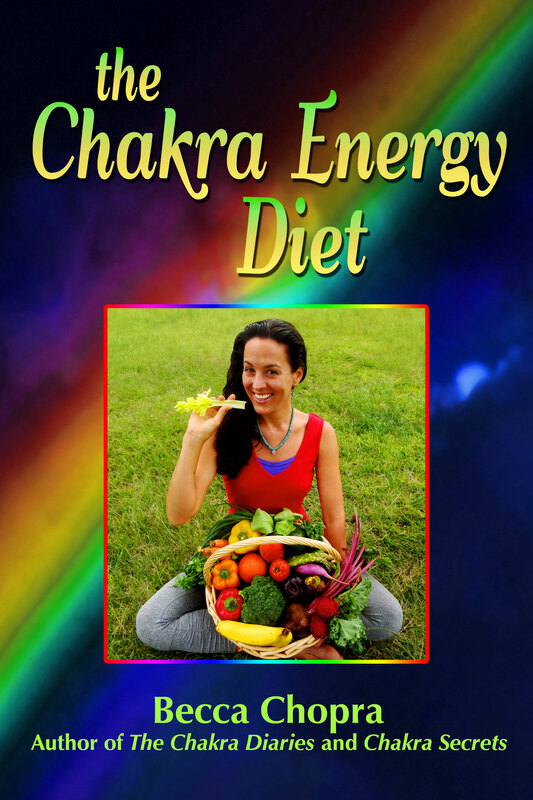 Learn how to conquer the stress in your life that is a double whammy to sabotage your weight and your health – download The Chakra Energy Diet today. Here’s to many more healthy and happy birthdays ahead for us all. We all want to be healthier and happier in the New Year. I want to help you make choices that will make you feel fantastic. It’s all about finding balance. To help you meet your goals, I’m offering you a FREE download of The Chakra Energy Diet: The Right Food, Relaxation, Yoga & Exercise To Look and Feel your Best! through Sunday, January 8. You’ll learn how stress can be sabotaging your wellbeing and your waistline, and how to instantly stop stress reactions. Once you’re relaxed, I’ll help you find balance – with the foods and lifestyle choices that will help you reach your perfect body weight, not sabotage your goals. Using instant “stress-busting” techniques shared in the book, combined with eating more real food (not processed or packaged foodstuff), will help you feel both more calm and more energized. And when you drop the excess stress, and make more conscious food choices, you’ll feel and look better too. Every now and then, I see a film that totally shocks and inspires me at the same time. 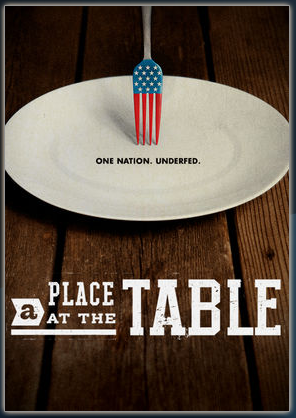 A Place at the Table is a powerful documentary that illuminates the plight of the 49 million Americans struggling with food insecurity. Those featured include a single mother, a small-town policeman and a farmer who share their horrifying stories of working at such a low wage that they can’t put food on their tables every day for their children, but make too much to receive food assistance from the government. HOW DID THIS HAPPEN AND HOW CAN WE HELP? Politicians, activists and even actor Jeff Bridges weigh in on how the problem happened after the 70’s (when Americans did have more food security), when food subsidies shifted to large corporate interests (Big Ag) rather than to small farms who were growing healthy food, or to the individuals who needed Food Stamps. Most recently, our U.S. Congress voted to increase the amount of money given for school lunches (the only food some at-risk children receive every day) by a paltry amount, but took that extra amount and subtracted it from the Food Stamp program, rather than from other huge expenditures, like the military budget. As Jeff Bridges remarks, if another country had 1 in 4 of their children going hungry, we would invade them! Food assistance for struggling families, and starving children who are too hungry to learn in school, has fallen to local Food Banks and church-related charities. But what they provide is primarily calorie-dense, nutrient-deficient boxed and canned foods that just lead to more health problems for the poor. Yes, I’ve been donating help to feed hungry children in my area… Part of the proceeds from my new Kindle book, The Chakra Energy Diet, will go to “Feed the Children,” a program with the mission of ending childhood hunger by connecting kids in need with nutritious food from local farmers, and teaching families how to grow, find and cook healthy, affordable meals and practice the sciences of wellness and the arts of creative living. We all need to help those in need, but we also need to lobby our government representatives to change our budgetary priorities, and have our children well-fed, healthy and able to grow into smart, successful people.